Robiotic MaidSafe combines a pocket-size panic button for hotel housekeeping staff with a hotel room operations management system. INTERNATIONAL REPORT—In an era of heightened awareness of sexual harassment in the workplace, hotels are equipping staff members with panic-button devices to ensure their safety. Hotel Business recently covered the issue’s wide-ranging ramifications and how hoteliers are getting a grip on inappropriate behavior on the job. A joint venture of two German companies, Hoffmann + Krippner GmbH and TK World AG, provides a full range of IoT services to offer the Robiotic MaidSafe system, which combines a pocket-size panic button for hotel housekeeping staff with a hotel room operations management system. 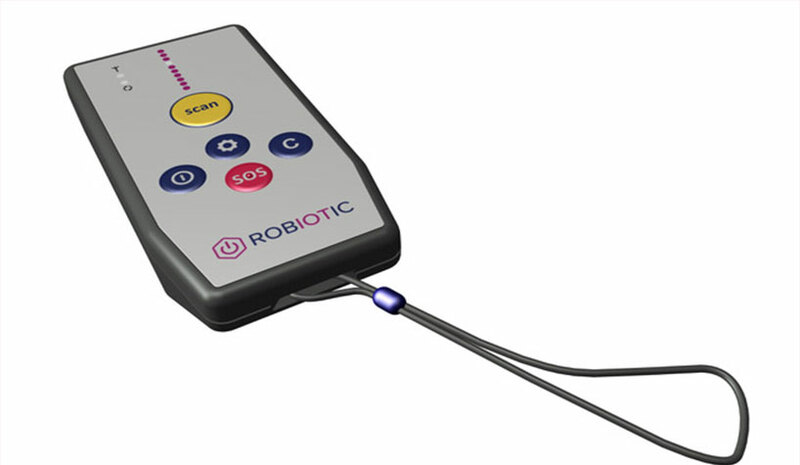 “The barcode scanning device, which is part of the Robiotic Maidsafe system, we’ve had for quite a while at different hotels,” said Jens Kautzor, CEO, Hoffmann + Krippner. Here’s how it works: Outside the guestroom, a bar code is on the room number or designated on the door. When a staff member enters the room, he or she will do a quick scan of the bar code; a signal is immediately sent to the mobile device of the front desk and security manager that identifies the person in the room and that it’s about to be cleaned. If there is danger, the staff member can push the panic button and, in seconds, the signal alerts the front desk, security, an alarm system or even 911, according to the company. In addition, when danger is not present, the staff member can use the device to scan the bar code in different sections of the guestroom, such as the bath, main area, etc. Upon scanning the bar code, the front desk receives a status update on the sections of the room that are clean. The minibar can also be scanned for items removed so the front desk can make arrangements to restock the items and provide an invoice. The benefits to hoteliers using the Robiotic MaidSafe system are numerous, including the ability for clear and fast communication, ease of use for staff, and enhanced customer service. For example, guests who request an early check-in and the hotel teams that are assisting with this request will know whether a room has been cleaned and is available for use via this system. “It solves two issues for hoteliers: It provides safety for hospitality workers and improves the hotel efficiencies and customer service,” concluded Kautzor.